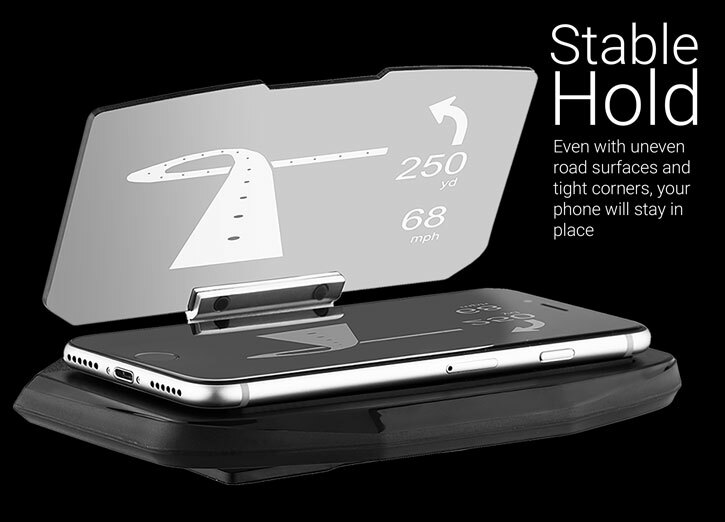 Use your smartphone as a HUD, inspired by fighter jet heads up displays. 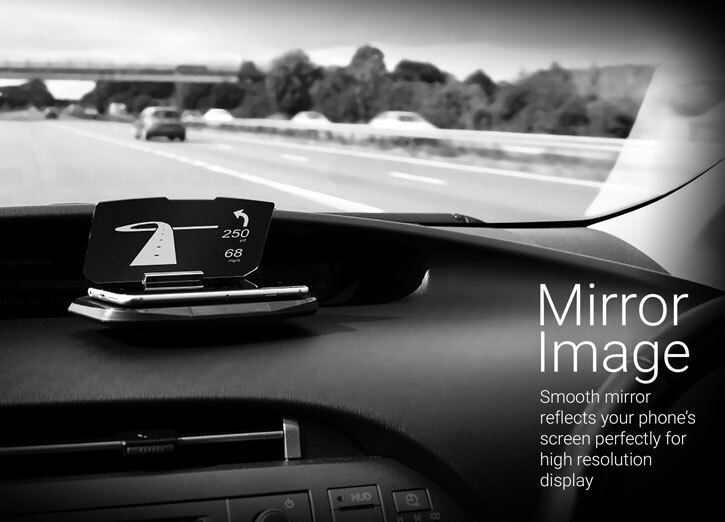 With a selection of apps, you can use this unit to reflect your smartphone display, viewing metrics such as speed, revs and directions. A low cost, reliable posting service, suitable for your less urgent orders. This service is untracked and is usually delivered in approximately 5-10 business days. Note: Orders with products that is worth more than NOK 350,- are customs- and VAT obligated. If the value is over NOK 350,- VAT will be calculated from the price of the product plus shipping, i.e. the full value of the shipment as stated on the attached invoice. This will only be applied to orders delivered with our standard delivery. A fast, secure and reliable tracked delivery method. Your item will receive priority handling, and benefit from a full online tracking facility so you can check your parcel’s progress along the way. Parcels sent via DHL Express are usually delivered in 2-3 business days*. 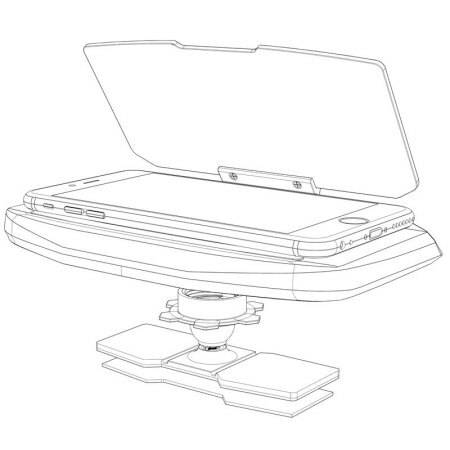 I wonder if it works with galaxy note 3? Do I need to install which application to use for navigation? 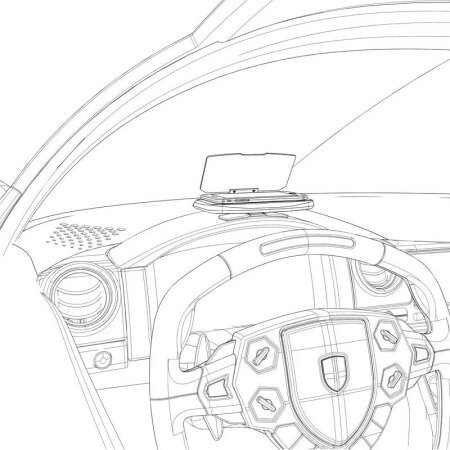 I have an old car without a Navigator; I solved the problem And i can use the item on all my car and moto. Thanks . 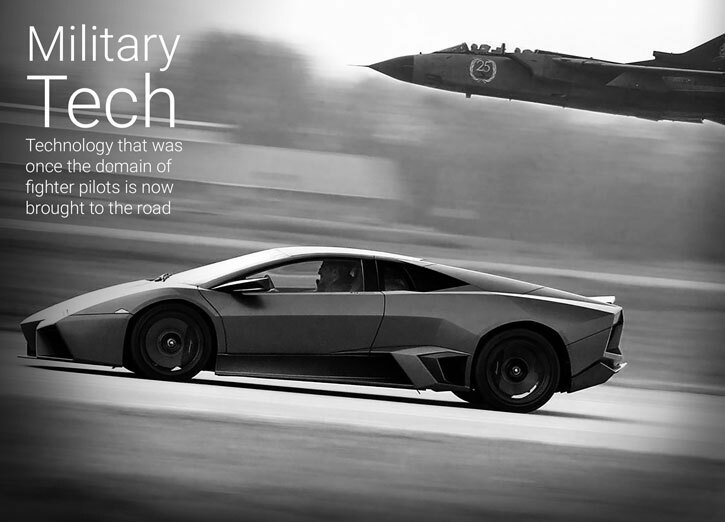 We've all seen films where fighter pilots are battling it out in the clouds, peering into their HUD (head or heads up display) systems to lock on to their opponents or to navigate. 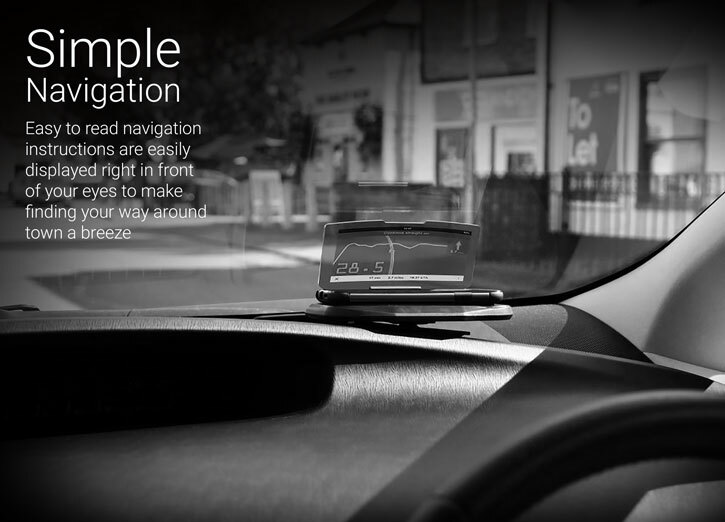 Well now you can take advantage of similar technology with this awesome navigation aid. Only instead of soaring through the clouds, you will be soaring through your daily commute or journey. 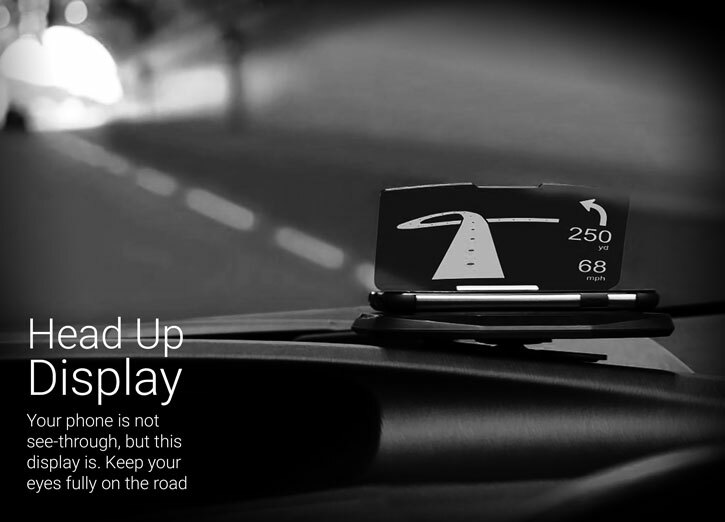 The Head Up Display (HUD) In Car Mount Navigation System combines with your smartphone to produce a very effective in-car heads up display. 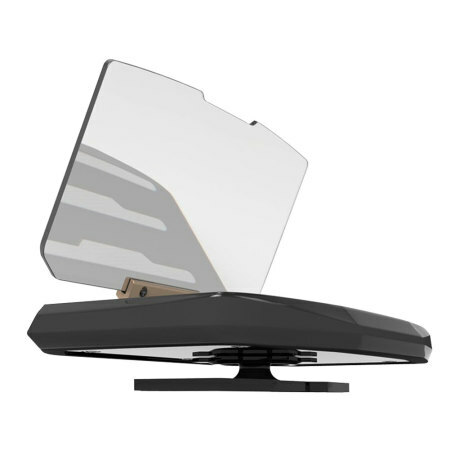 No need to place a car holder right onto your windscreen, instead use the reflective qualities of this built-in mirror to view the road beyond and yet see fascinating and helpful details in front of you. 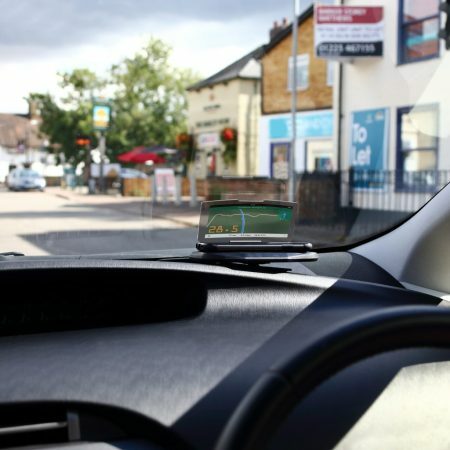 Drive without having to take your eyes off the road to check you speed, revs and many other measurements - while also using specialised apps to view directions to your destination. Perfect for viewing on-board diagnostics information (when paired with compatible OBD2 interface) at a glance. 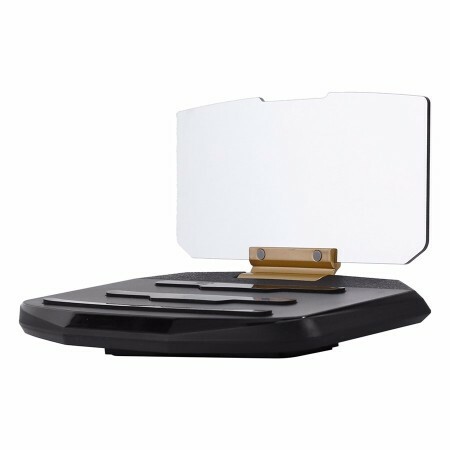 The Head Up Display (HUD) In-Car Mount Navigation System's reflective screen is made of a super clear plastic that effectively features a mirror-like reflection, so your smartphone's display is perfectly seen. The HUD Mount has a built-in anti slip mat that secures your smartphone, keeping it in place even if you hit a pot hole or take a tight corner. 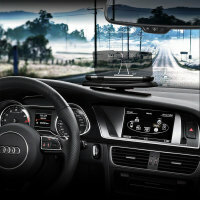 With the vast array of HUD apps available such as HUDWAY, DigiHUD Speedometre and Torque - you have a huge amount of choice in the type of HUD you wish to display. Whether you wish to view directions to your destination or a wide array of car statistical information including your speed - there is an app available on either the Apple App Store or Google Play Store. 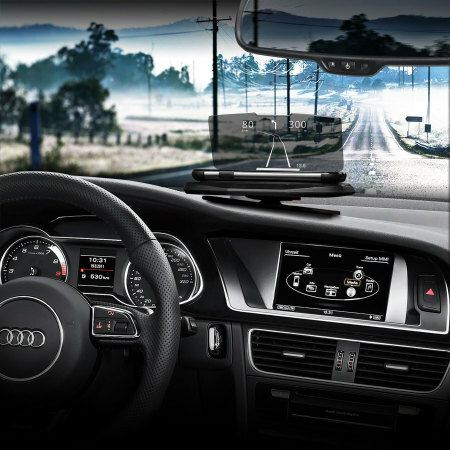 The Head Up Display (HUD) In Car Mount Navigation System is very easy to install. 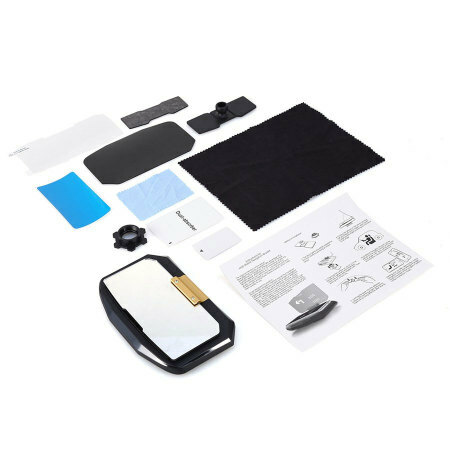 Simply attach the included adhesive mount to the HUD System, then attach the HUD unit to your preferred position on your car's dashboard. 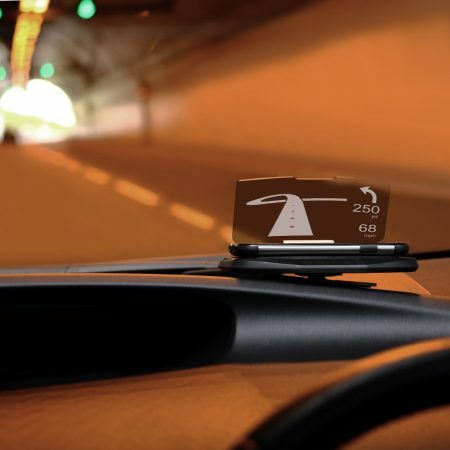 The Head Up Display (HUD) In-Car Mount Navigation System is compatible with a wide selection of smartphones that support Apple's iOS or Android. 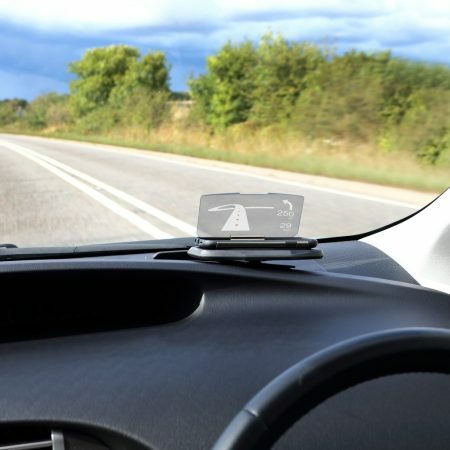 With the correct app, you can ensure your car is fitted with a futuristic-looking Heads Up Display.